IMAGES: Supernatural 10x22 "Brother's Keeper"
They’re here. 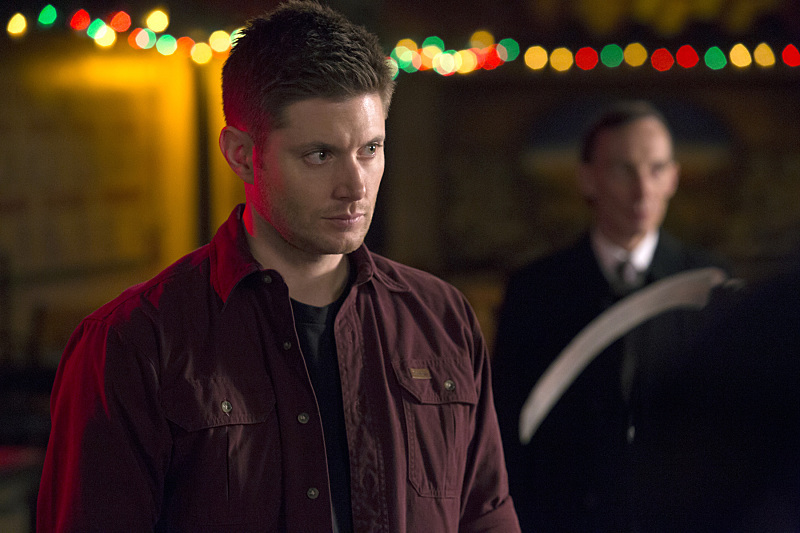 First look images from Supernatural’s season finale episode have arrived. In “Brother’s Keeper” Dean (Jensen Ackles) makes a shocking decision regarding the Mark of Cain that would change not only his life, but Sam’s (Jared Padaleck) too, according to the latest from the CW. Meanwhile, Crowley (Mark Sheppard) and Rowena (guest star Ruth Connell) face off and Castiel (Misha Collins) gets caught in the middle. Phil Sgriccia directed this episode written by Jeremy Carver. It airs Wednesday May 20 on the CW. Supernatural -- "Brother's Keeper" -- Image SN1022B_0464 -- Pictured: Jensen Ackles as Dean -- Photo: Katie Yu/The CW -- ÃÂ© 2015 The CW Network, LLC. All Rights Reserved.